There is something special about a Catahoula Leopard Dog! What a strange and magical breed…It’s the state dog of Louisiana. And it’s celebrated in the cute children’s book by Leif Pedersen. 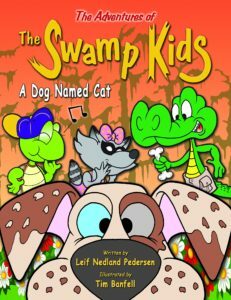 Leif narrates the fun-filled adventure in A Dog Named Cat, the fourth book in The Adventures of The Swamp Kids series, for Confetti Park. The Swamp Kids travel to a nearby animal shelter in hopes of finding a new pet they can adopt and bring home. 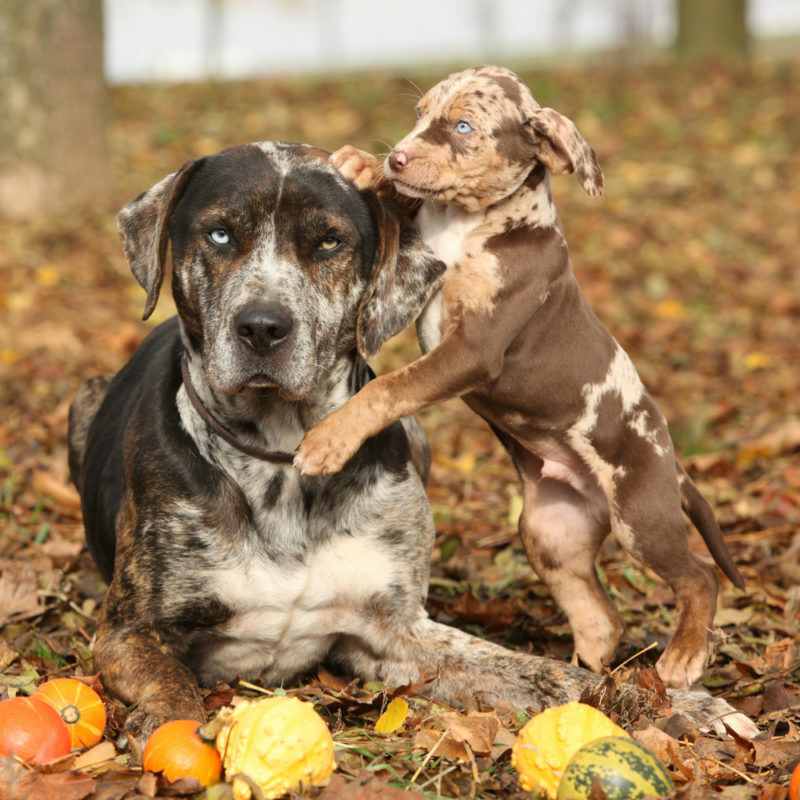 They find a Louisiana Catahoula Cur puppy and learn all about him. (This podcast features “Sunbonnet Sue” performed by the Hackberry Ramblers.) Listen! and raised up the bayou a bit. At home he will be a big hit! So now what to name their new furry friend? Lots of smiles come from this great book for animal lovers, not least the brightly colored illustrations of the swamp critters by artist Tim Banfell. Also included in the book is a Lagniappe Lesson written by WWL-TV and Radio personality Angela Hill, a dedicated animal lover respected for her journalistic talents and her unwavering commitment to animals. Angela offers kids tips on the care and responsibility involved with pet ownership. Want to hear more? Listen to The Missing Chord by Leif Pedersen, the very first Swamp Kids book in the series. The Swamp Kids have many adventures you can enjoy… Visit www.theswampkids.com for puzzles, plush toys, activity sheets of teachers, and more! The Catahoula Cur is an American dog breed named after Catahoula Parish, Louisiana, United States. Also known as the Catahoula Leopard Dog or Louisiana Catahoula, it became the state dog of Louisiana in 1979.